There are more than 100 models of Sears Homes that I’ve never laid eyes on, but fortunately, I have friends in Ohio places. And Ohio is loaded with kit homes. 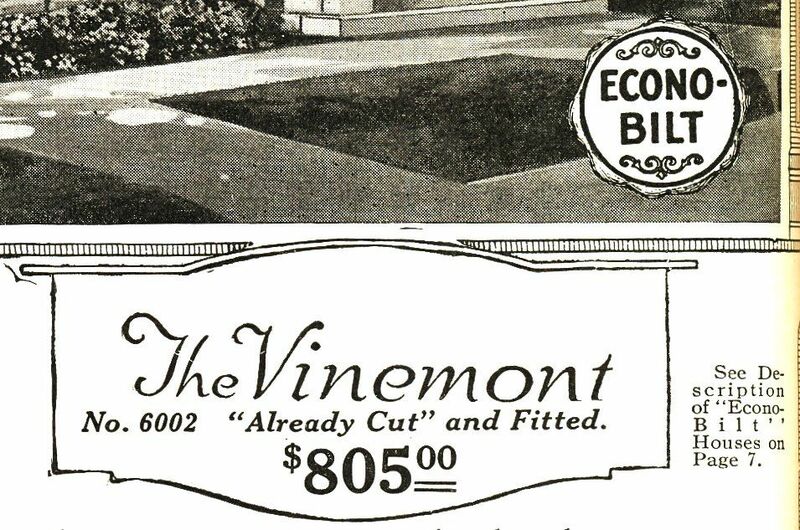 One of the houses I have never seen (in person) is the Econo-Bilt Vinemont. 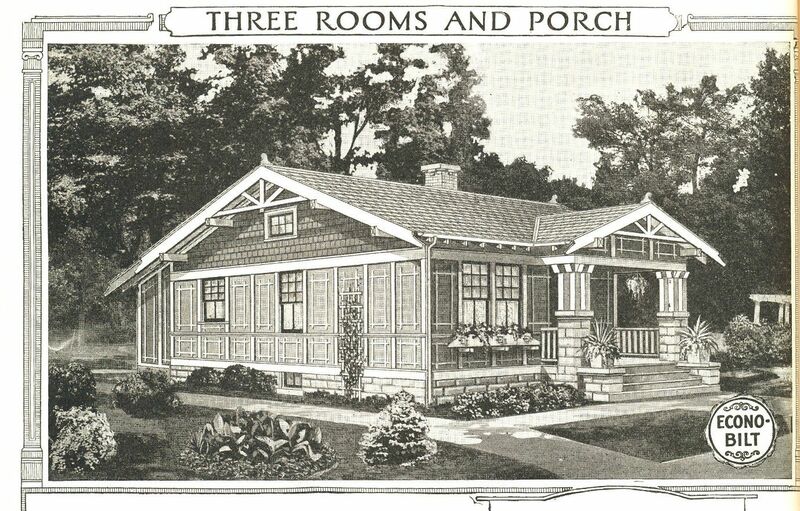 Econo-Bilt homes are scarce as hen’s teeth, in part because, they were not very sturdy houses and are not as likely to endure through the decades. 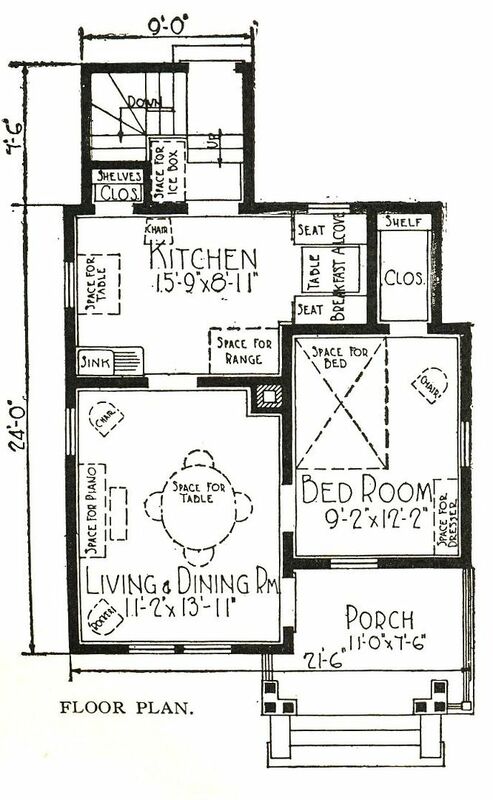 And the “Econo-Bilt” homes were only sold for a few years (about 1915 - 1925). Despite all that, Donna Bakke found this Vinemont in Cincinnati. 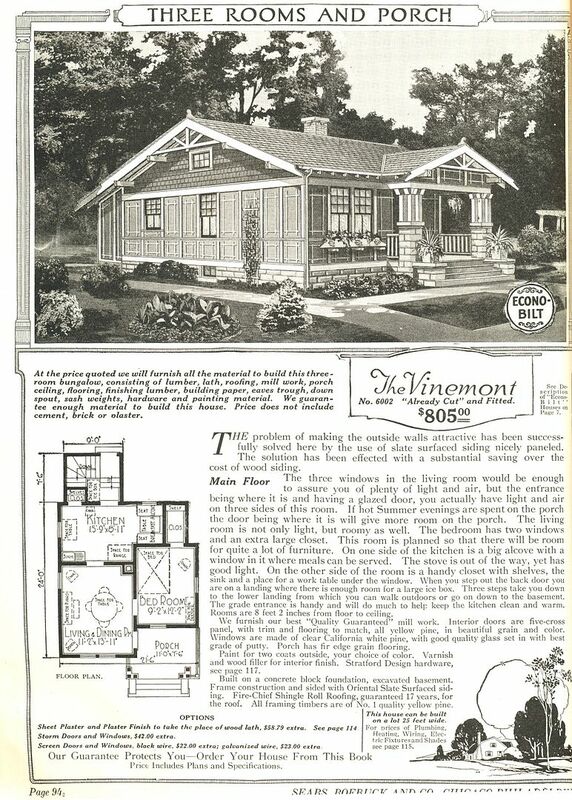 The Vinemont was offered only as a pre-cut kit home, which is doubly weird because - as an Econo-Bilt house - it was the bottom rung of the construction ladder. 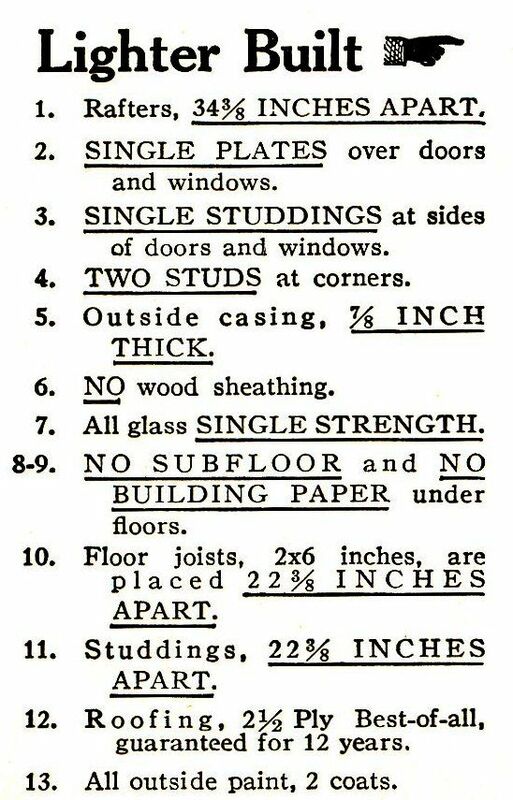 After you placed your $1 good-faith deposit with Sears, you’d wait patiently for your list of building materials and blueprints to arrive. If you liked what you saw, you’d send in the balance due ($804 on the Vinemont), and you’d soon receive about 12,000 pieces of house and a 75-page instruction book. By anyone’s standards, that’s a swinging deal. Yikes, it's only one bedroom! But it's a good price. 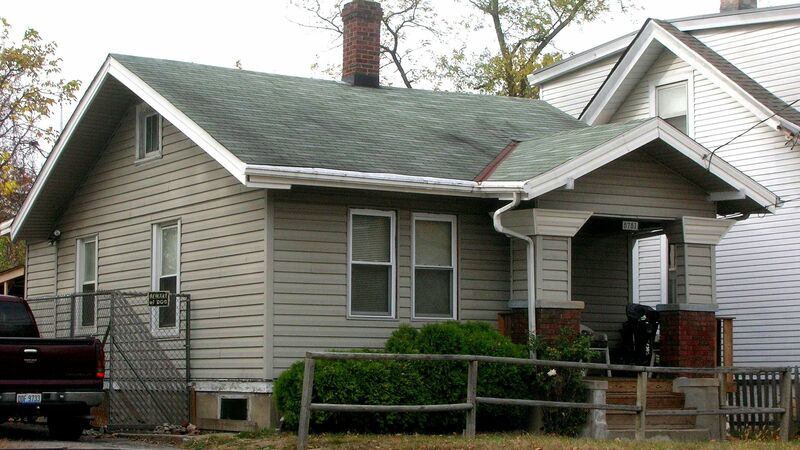 If you read the description, you'll see the exterior walls were "slate-surfaced siding." Donna did a good job getting a photo of the house from the *perfect* angle! No doubt about it - this is a Sears "Vinemont." 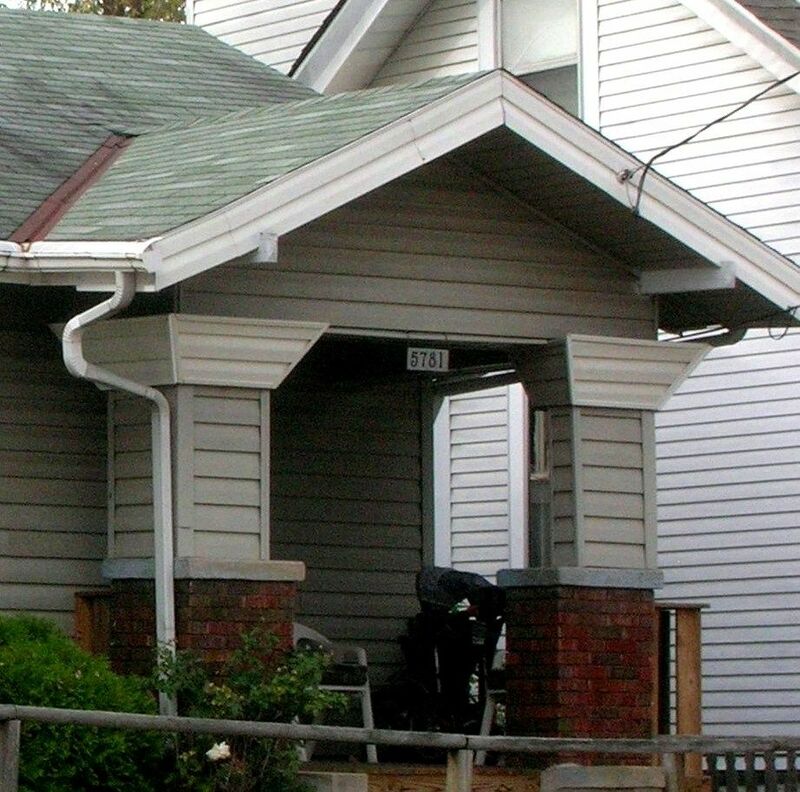 Lighter Bilt was also known as Standard Bilt and Econo Bilt, but regardless of the name they affixed to this line of houses, they were still not suited for severe climates. To read the full list of Sears Houses that neither Rebecca nor I have ever seen, click here. To learn more about the differences between Econo Bilt and Honor Bilt, click here. To read the next fascinating blog, click here.